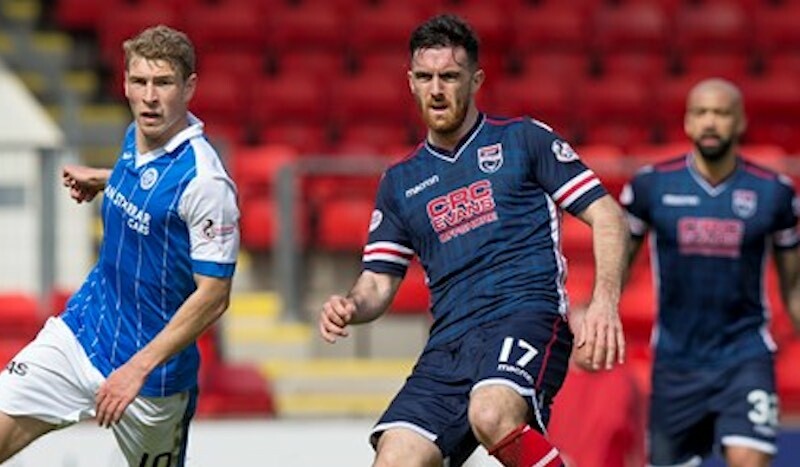 James Rowe interviewed Ross County midfielder Ross Draper exclusively for WFi. They spoke about plying his trade in Scotland, his time at Macclesfield Town in England, and playing under former England captain Terry Butcher at Inverness Caledonian Thistle. You signed for Ross County in 2017. How are you enjoying your time there so far and how and how would you describe the club? My time at Ross County is going well so far. Although relegation last season was not ideal, the club has regrouped and kept a lot of players from last season and also improved the squad. We started the season well and if we can continue in that vein I think we have a good chance of promotion. Ross County are a small club that is very well run. The Scottish Highlands is split between the two clubs of Ross County and Inverness, so the fan base is not huge, so they rely on fans coming through the turnstiles to watch the matches. The facilities we have are very good for the size of the club. I know a lot of clubs in Scotland train elsewhere, away from the club and they have to get a minibus. Here at Ross County everything is based in one position — gym, physio room etc — a good setup. You spent three seasons at Macclesfield Town, making many appearances. How do you look back on your time at the club and are there any particular highlights? I am very grateful to Macclesfield Town. They took me from a non league club called Hednesford Town, which was two levels below the conference, and that was not a great standard. Playing part time and training back then only two times a week, so to be pulled from somewhere like that to a professional club was a step up for me. I had three good seasons at the club. I decided to leave at the end of my third season because a chance to play in Scotland came up and it was something I could not turn down in all honesty. In England you have the FA Cup which is quite a big competition, and we played a couple of big matches against Leicester City and Bolton Wanderers, and looking back they were highlights. Macclesfield were always fighting against bigger clubs in the league, and were always the underdogs so to do well was a big achievement. You went on from Macclesfield Town to spend five seasons at Inverness Caledonian Thistle (2012 – 2017). Did you notice a clear difference between English and Scottish football when you first signed, and how do you look back on your time at the club? For me there was a big difference between the two styles. The level that I was playing at in England — League Two — was very physical with many long balls, and I felt I did okay in League Two because it suited my style. When I came to Scotland it took me a little bit of time to bed-in because there was more football played and more skilful players. Also, playing in the top division, I came up against internationals and it took me a while to adjust. My time at Inverness Caledonian Thistle was good, under Terry Butcher, and the highlights were winning the Scottish Cup in 2015 and playing in Europe. It was a massive achievement, especially for the size of the club, and it might possibly never be repeated again. To play a big part in that is the highlight of my career so far. You mentioned playing under Terry Butcher, Ross, what would you say are his best qualities as a manager? Terry Butcher’s man management skills were top-notch. He knew how to get the best out of players. We had a small squad of players and most weeks we had a very settled side and everybody knew their roles. He was very honest with his players. His recruitment was also very good. He brought players from the lower leagues in England on a very small budget. 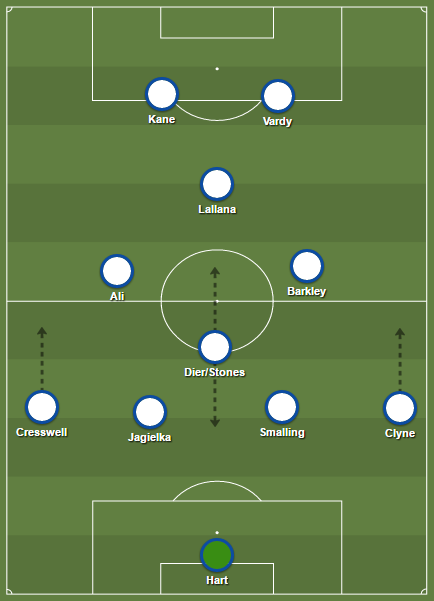 He played formations that suited everyone. You have had a solid career so far encompassing two different styles in English and Scottish football. Could you say who are the best players you have played alongside in your career so far? I would say some of the players that have came up to Scotland and go one to become internationals. You look in recent times at Ryan Christie playing for Scotland and doing well at Celtic. We played together at Inverness Caledonian Thistle and I would say that he is probably the best player that I have played with, but I have been fortunate to play alongside many good players during my career so far. You mentioned the FA Cup and playing against Leicester City and Bolton Wanderers. As a midfielder, are there opponents that you have faced that have stood out for you? I always say that the two young players that were very good that I played against down south were Jason Koumas, when he played for West Bromwich Albion. I played against him in a reserve game for Shrewsbury Town and he was very good. And also Mark Davies, when we played Bolton Wanderers in the FA Cup. Those two were the most gifted players that I have come up against. I would also say that here in Scotland there are a lot of good players who have won a lot and done very well in their careers. Finally, Ross, you already mentioned Terry Butcher, but are there any other managers that you have had in your career so far that have played a key role in your development as a professional footballer? I have been fortunate to play under many good managers that have had different styles. Terry Butcher was very beneficial in terms of my career and bringing me up to Scotland. John Hughes at Inverness Caledonian Thistle was probably the best coach that I have ever played for, and he developed me the most as a player. John Hughes was a great coach in terms of training and constantly improving technical skills. He brought a somewhat foreign style to the club in terms of footballing ability which was something that I was not used to. I would say those two to be honest, but I owe a lot to managers down south who gave me a chance, especially at a young age, like Gary Simpson at Macclesfield Town.